A little late but better then never, whilst I try to play catch up over the past few months that have gone by as fast as lighting you will see everything from October until now. 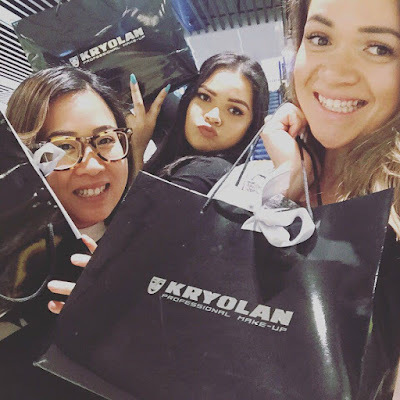 Let's take it back to mid October when I was kindly invited along to the Official Launch Event for Kryolan who opened their first retail store doors in Melbourne at the Emporium. During that night we also celebrated their 70th year in the beauty industry. How incredible is that? It is gobsmacking to me that they have been around 70 years and the history of cosmetics goes back that far. The Melbourne Emporium Kryolan concept store is absolutely stunning. A gorgeous array of sooooo many shades in so many different cosmetics products lay before your eyes for you to play around with. The beams of light that glisten down on the products really make this a store that you have to stop by and check out. 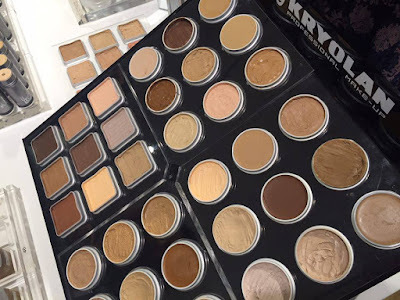 Prior to this event, Kryolan was a brand known to me prior to this event as my sister is a qualified MUA (Make Up Artist) and has this in her kit, in which I have been able to play around with many times before. 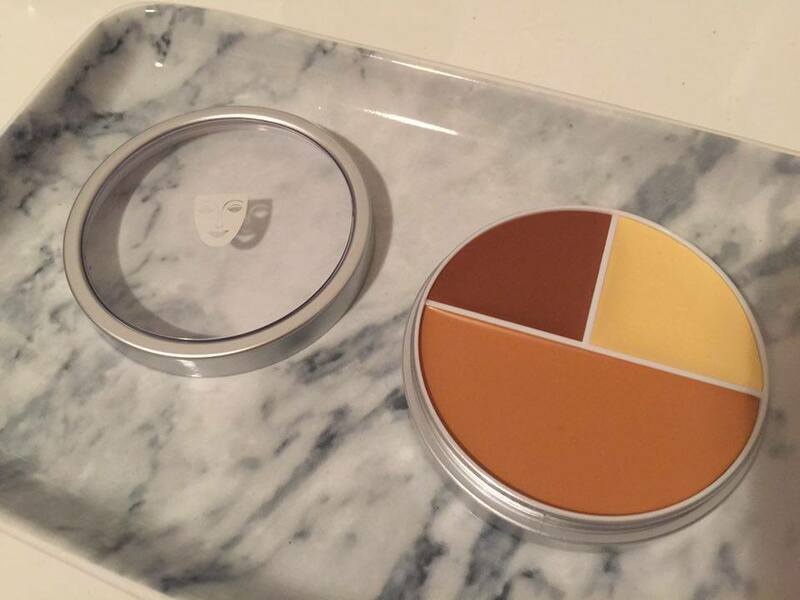 The error for most of us and what Kryolan are also trying to educate us all about is that they are not only for the industry users for special effects and kit only sorts of make up collections but they are a brand that can be used everyday in anyone's makeup routine. Kryolan is a high end brand so expect to pay a little bit for their products, but as they say you don't get quality with a cheap price tag. 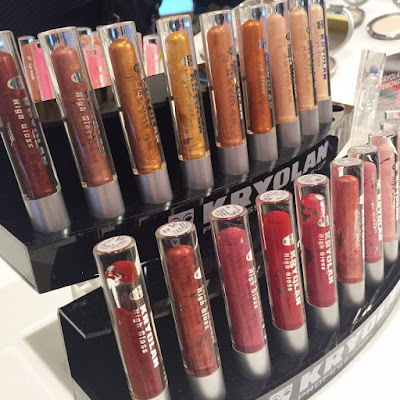 Kryolan invited a handful of bloggers and other industry professionals for a VIP night to celebrate and launch with the Melbourne Emporium crew. Special guest MUA - Becca Gilmartin was in attendance who gave us a demonstration of how to create some speciality looks that Becca had done before and really encourage us to play around with the products as you will be surprised in the multi-use of a product. 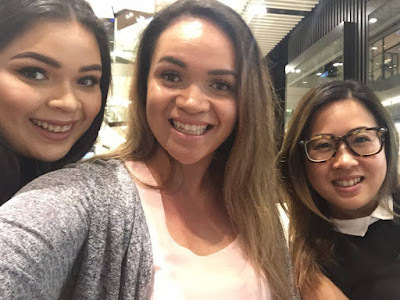 I was lucky enough to have my sister Katt who was invited along as MUA industry professional and then be able to bring along my beauty loving blogger friend Trang from Doaner-fide. Trang was taken up on the elevated stage for us to watch a demo on her by Becca herself. Upon leaving the event we were gifted with a goodie bag of gorgeous samples of products as well as two full sized items to use at home. I received Glamour Glow and Ultra Foundation Trio as the full sized products in which I haven't used the Ultra Foundation Trio just yet as I want to purchase some of the Makeup Blend as the foundation trio is very thick. 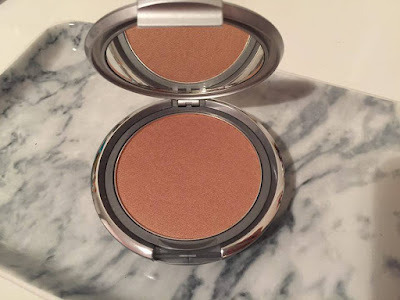 The Glamour Glow is a sheer light blush, bronzer and tanning complexion all in one. It comes in a compact little kit in which has a mirror and underneath the product is a compartment to hold the mini application brush. 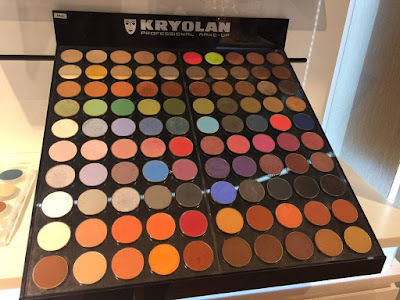 Thank you Kryolan for having me for the night and allowing me to see more of your range, I am sure I will be back and will be adding your products to my collection. Disclosure: I was invited along to attend the event and received a complimentary gifted goodie bag at the end of the event in which contained Kryolan products. I received no payment for this feature and all opinions expressed in this post are entirely my own. I love the colours! 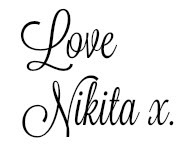 I have not heard of this brand but will look out for it. It all looks very suited to brunettes.